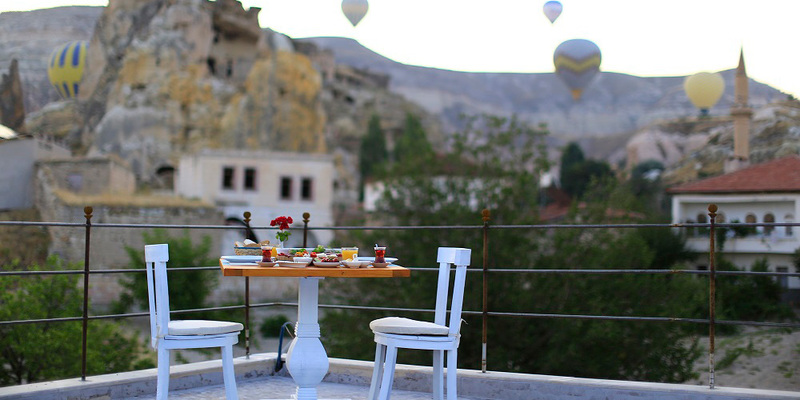 Jacob’s Cave Suites is an exclusive boutique style cave hotel which is located in the central of Göreme National Park in Çavuşin Old Greek Village. Our hotel was an old house which has very nice architecture. After doing reconstruction we were able to combine the features of the past with the comfort of today. 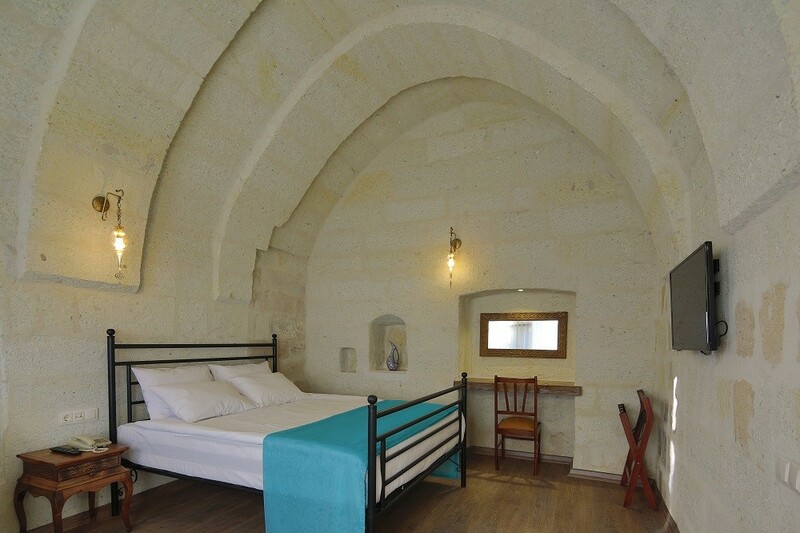 We welcome our lovely guests with 8 original cave rooms on the first floor and 4 stone-arched rooms on the second floor. Hotel has a big garden, our reseption, lobby and restaurant are located in this garden. 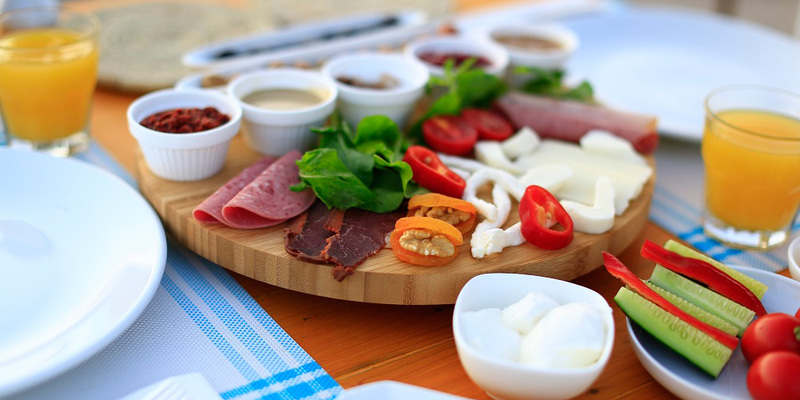 You can enjoy your organic breakfast or complimentary afternoon tea and homemade cookies with Çavuşin Castle view in our lovely garden. You may enjoy amazing sun set views with many colorful hot air balloons around you from our rootop terrace. The experience of staying in original cave rooms in today’s modern life will feel yourself privilaged because the caves of Cappadocia are really unique with its spectacular natural landscape whole around the World. 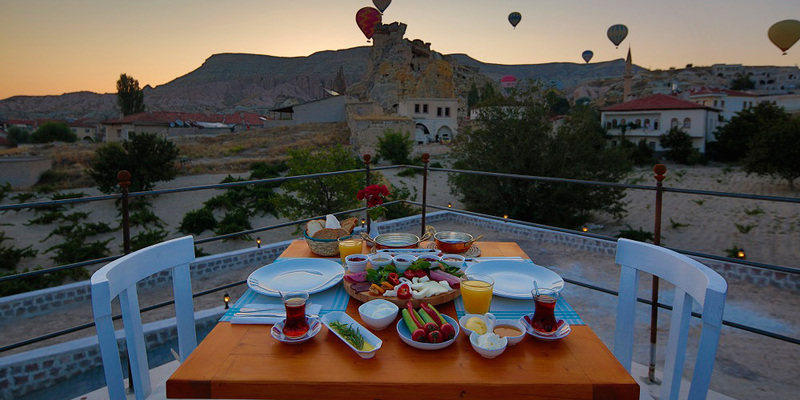 You would be delighted with experience of village and cave life with stunning view of planet Cappadocia during your stay in Jacob’s Cave Suites. 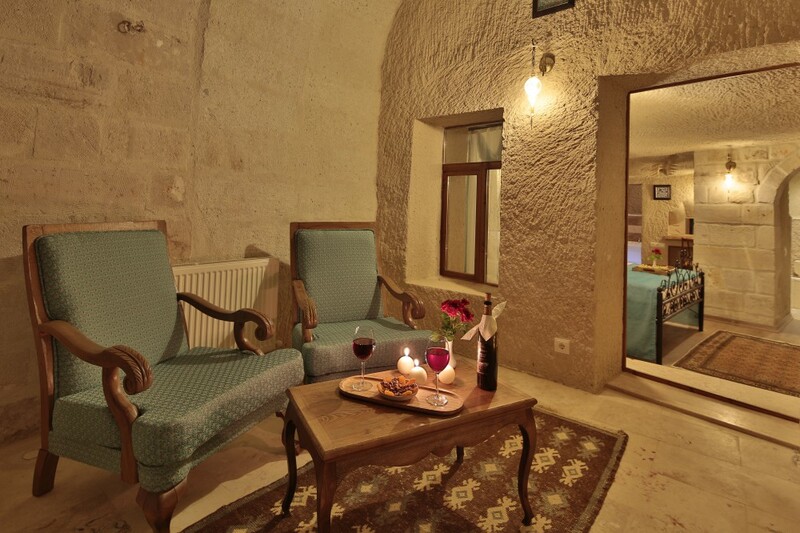 The location of Jacob’s Cave Suites is soo accessible to historical and natural sites of Cappadocia. It is in a close proximity to John the Baptist Church (200 m), Nichophorus Phocas Church (300 m), Rose and Red Valleys (150 m), Love Valley (2km), Paşabağı or Monk’s Valley (1 km), Zelve Open Air Museum (2 km), Göreme Open Air Museum (3,5 km), Özkonak Underground City (19 km). With excellent service and a warm friendly vibe, Jacob’s Cave Suites is here to make your stay really memorable. 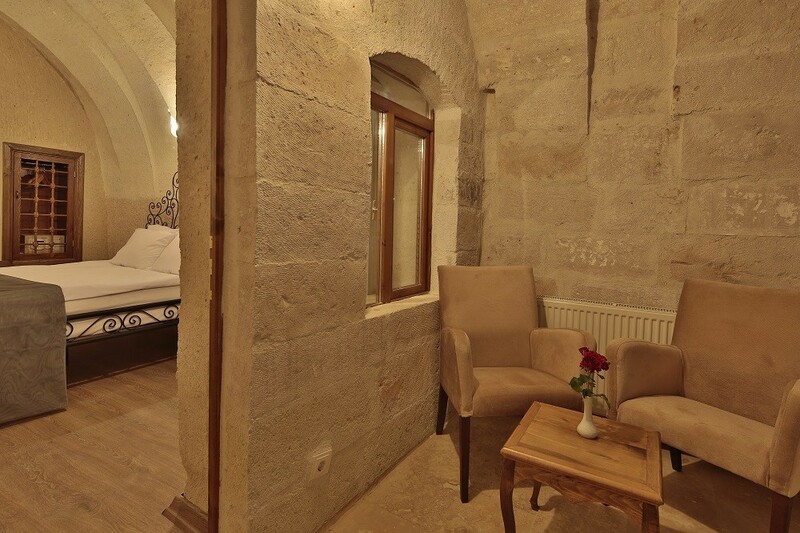 Our Junior Suites which date back to 1950s were built with natural travertine stones of Cappadocia . 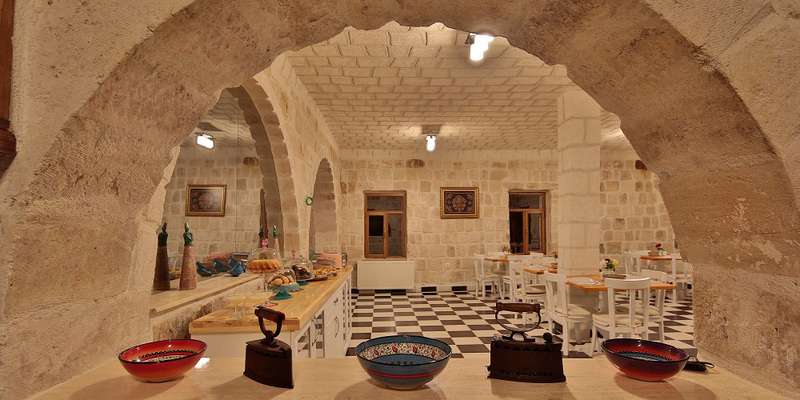 You can see the influence of Greek stone architecture in 3 Junior Suites of Jacob’s Cave Suites because the village had been home for Greeks before 1923. After doing a good restoration we would be able to present these old rooms with today’s modernity to our lovely guests for a peaceful and comfortable stay at JCS. Each room has its own sitting area, a bedroom with one comfortable double bed and one single bed, a private bathroom with its jakuzzi and shower. 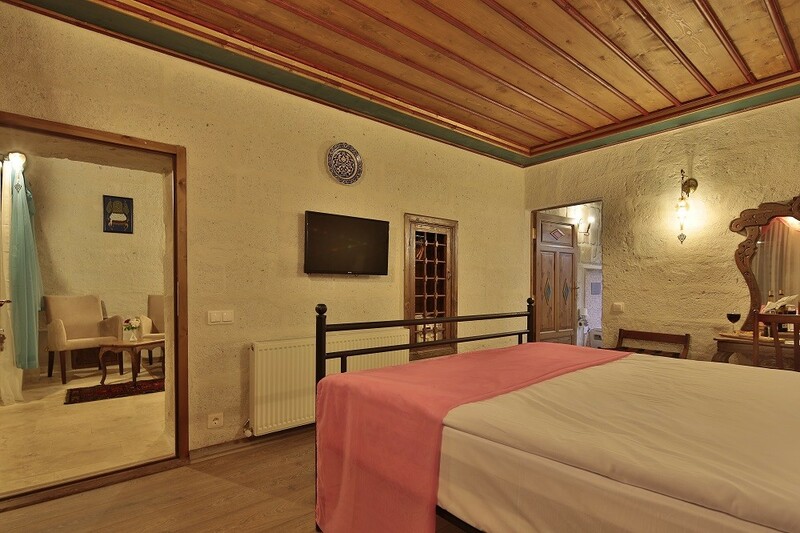 All of the rooms are located on the second floor and have Çavuşin Cave Castle view. Please pick your arched room from following room numbers. 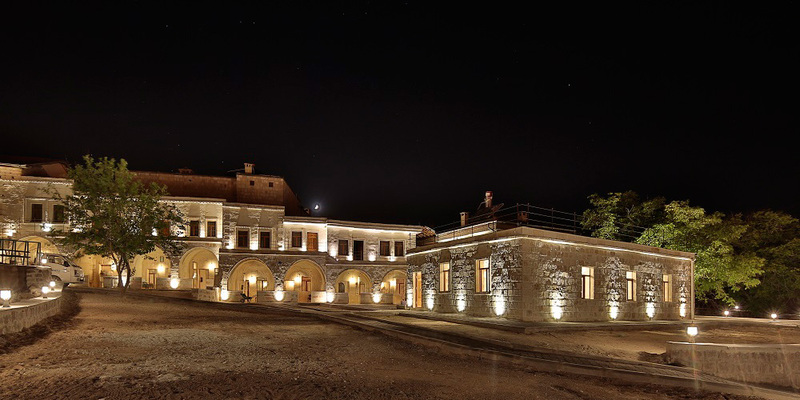 The room has its own entrance and sitting area with garden view and Çavuşin Castle view. 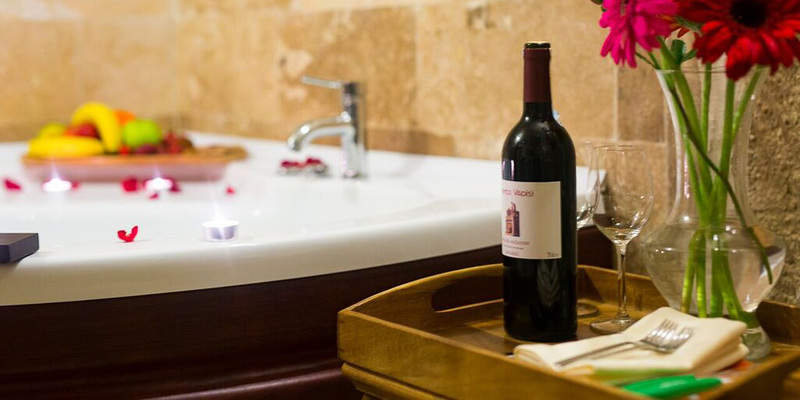 The decoration of the room combines today’s luxury with past’s traditions with antique handmade carpets, crafts, furnitures, natural fabrics and travertine stones in bathroom. It has a private bathroom with a shower and a jacuzzi. 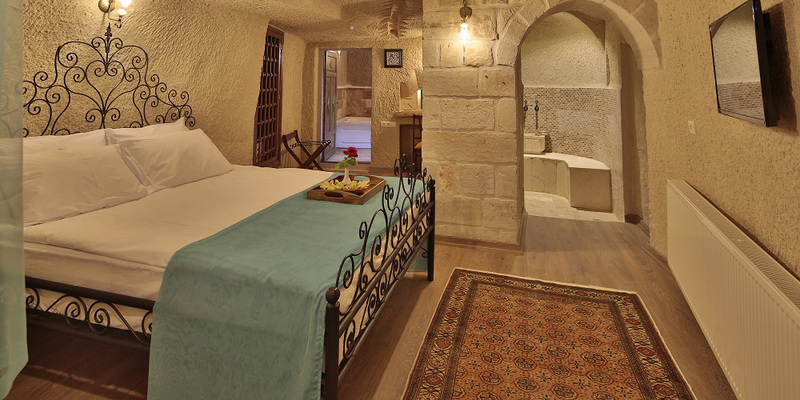 Connecting Family Suites of Jacob’s Cave Suites had been built with travertine stones, a strong building material of Cappadocia. It has an Ottoman style wooden ceiling and decoration with antique furnitures, handicrafts and carpets. It was reconstructed to make a connected family room with one entrance, two seperated rooms inside, one for parents with a double bed and one room for children with 2 single beds. Room number 204 in this category has its own bathroom, a jacuzzi and a shower in parents bathroom. Room number 203 has 1 parents room with double bed, child's room has 2 single beds, 1 bathroom with jakuzzi and a shower. It is absolutely for parents who are looking for a romantic and a peaceful stay in a privacy even though to their children.